SUNNY EDWARDS believes he and world champion brother Charlie are following in the footsteps of heavyweight greats, The Klitschkos. 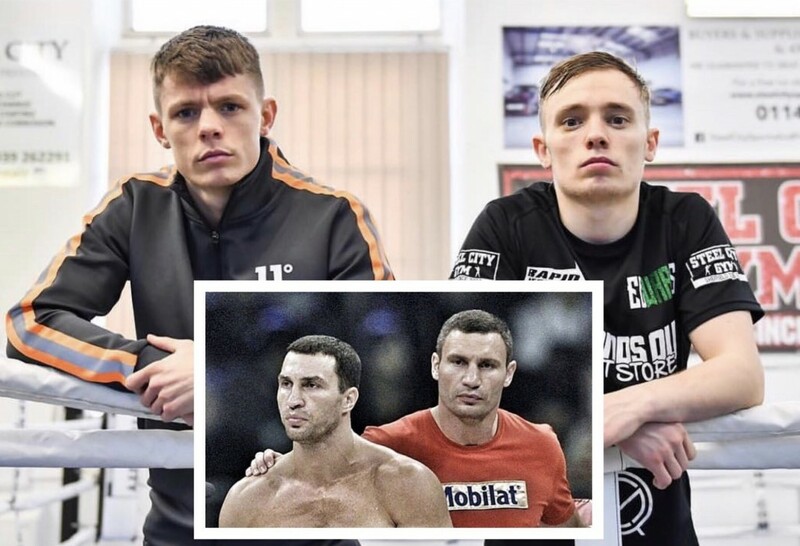 The Croydon flyweight siblings might be nine stone lighter than the Ukrainian former world heavyweight champions, but the little big men are inspired by their success story. Sunny (10-0, 3 KOs) is heading towards world honours, while Charlie is WBC flyweight champion – the division where both aspire to hold global gongs at the same time and dominate like the Klitschkos did. “We are the mini Croydon Klitschkos,” roared Sunny who defends his WBO European super-flyweight title at SSE Arena, Wembley on Saturday April 27, live on BT Sport. Sunny, 23, showed he is destined for the top at the back end of 2018 with impressive wins against Ryan Farrag and Adrian Granados. Charlie has been defeated, but like the Klitschkos showed mettle to bounce back from defeat and become a world champion. Sunny said: “The Klitschkos would have started out with nothing and that is what makes you dangerous. “When you have invested everything those setbacks don’t knock you off. They just help you pave a different way. Although the Edwards pair have devoted their lives to boxing, it was only 12 months ago they started training together when Charlie joined Sunny at Grant Smith’s Steel City gym in Sheffield. Sunny added: “Although we have the same career we are walking them differently. We have different promoters for a start. “Although he is my brother and I am so proud of where he is I am still paving my own way. I’m not looking for handouts off the back of him. Chorley-boxer Jack Catterall will be in action as he edges ever-closer to a world title challenge. Rangy Super Welterweight talent Hamzah Sheeraz will be back out after his impressive win over Rod Douglas Jnr. Hard hitting middleweight and Peacock gym product Denzel Bentley (9-0) and Belfast amateur middleweight star Caoimhin Agyarko will also return to action. There are Queensberry debuts for unbeaten welterweight Chris Kongo (10-0) and Sheffield middleweight Shakiel Thompson (2-0) – with Thompson being tipped by sparring partner Billy Joe Saunders as a star for the future. Ilford Super Middleweight Umar Sadiq (4-1) also returns as he looks to rebuild after his first career loss. Tunde Ajayi trained lightweight Bilal Ali (1-0) will have his second professional fight after making a successful start to his pro career, with Hoddesdon super lightweight Alfie Price set for his fifth.